SHOEI combines state-of-the-art manufacturing technology and the most advanced materials known with over 50 years of experience to deliver the finest handcrafted motorcycle helmets available. Recognizing that the privateer is the heart and soul of motocross, SHOEI is proud to present to you the Privateer Profile. Two teams, joining forces to work together as one. 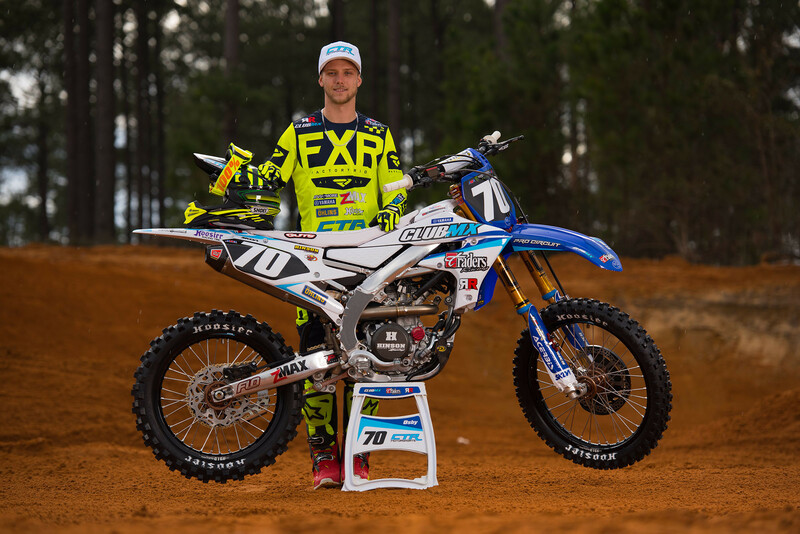 That seems to be the mantra that Traders Racing and ClubMX have adopted upon merging for the 2019 Monster Energy AMA Supercross season (the team will also contest every round of the Canadian Motocross Nationals this summer). The 250SX East Region kicks off this weekend in Minneapolis, and team manager Kenny Day admits that his heart rate will be elevated until then. There’s a lot of work that goes into bringing two race teams together, but the staff, riders, and sponsors on board all appear to work well together and are excited to go racing. 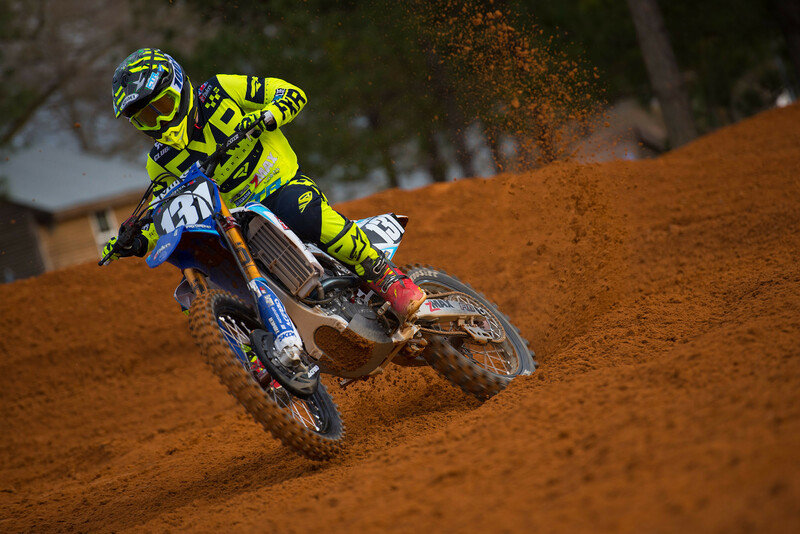 We gave Day a call this week to shine a light on the newly formed CTR Motorsports team, and to chat about the merger, his expectations for the team and riders, working with Skip Norfolk, sea food, and more. 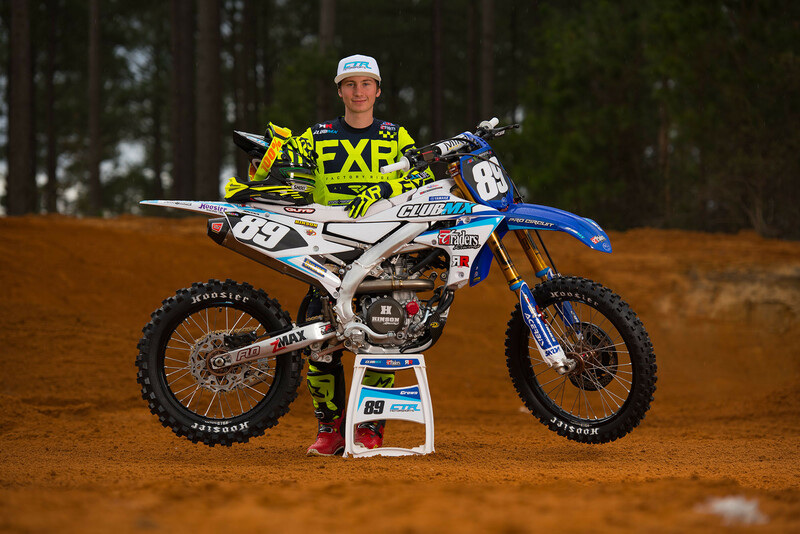 Racer X: Exciting times. Getting ready to start East Coast. Kenny Day: It is for sure exciting. You are kind of wondering where you’re going to be, where everybody’s going to fit in. I think my heart rate will probably be above 180 for the next three or four days. You were the team manager for Traders Racing for the last couple years. How’d this merger with ClubMX come about? Walk us through the team dynamic now that there’s a partnership. I’ve been the team manager at Traders for about five years now. We just kind of improved the program. In 2018 we were at Daytona, and the ClubMX team, to me, kind of just came out of nowhere. They showed up and they looked really good. They had a great presentation. What really caught me was that they had some new sponsors on their bike that I had never seen before in the industry, and it really caught me. I was thinking to myself, we’ve been struggling for a long time to really find that big sponsor to really be able to make our program what we wanted it to be. I was scratching my head a little bit. I started talking with the owner of ClubMX, Brandon Haas. We shook hands and we were like, could this be possible? So from that point on through the year, just kept doing our thing. Just talks here and there. Then I think it was at Loretta Lynn’s Brandon came up to the semi and we really sat down and just kind of figured out how it could work. It took a little while to get it done. We definitely got a late start. We didn’t actually move into ClubMX as a team until November. So we had a bit of a late start. Has there been any restructuring of team roles? Yeah, I still am the team manager. Our race director is still Skip Norfolk, and then we have a head mechanic which is Tony Archer. He was Luke Renzland’s mechanic last year. Tony’s really stepped up huge for the team, he takes a massive amount of work. He’s helping building race engines and builds all the practice engines, you name it. But I’d say the biggest restructure obviously from going into the merger, you’ve got several guys as owners, I guess I should say. So that has been different. I have to bounce between three owners and communicate with everybody and make sure everybody’s on the same page. I’d say that’s the biggest restructuring. Other than that, we’ve got some new mechanics in. It’s been good, though. What’s it like working with Skip with all his insight and knowledge and experience working in supercross? It never ends, truthfully. You could hit him with any question and he’s going to have an answer for you. I think over the past five years of my personal relationship with Skip, it’s been overwhelming the amount [of things] I’ve learned and things that I’ve never even thought about what you can do with a motorcycle. Skip is a huge element for us. He has been from day one. Before he showed up, I was kind of just doing it myself and off of my little bit of knowledge I had from my racing career and just people kind of pointing me in the right direction. But he showed up and brought structure to the team and a whole new aspect of looking at racing differently. So it’s been a great experience. I think for myself and every single rider that’s come on the team, we all get to see how passionate he is and how he views racing. So it’s been really good. Does it kind of make your job as a manager a little bit easier, where you can step back and be a manager and kind of let him work with the riders and you can do more of a managerial role? A hundred percent. I knew from day one, the minute that he showed up, I knew that it was going to be different for me. I was very much a hands-on guy with everything, trying my best to help the riders in certain areas, especially in racing. Even at times I was trying to help with the fitness aspect. I was just trying to be the all-around guy. When Skip showed up, within the first month he’s sending me crazy spreadsheets and talking lingo that I didn’t understand. It was kind of like, “Okay, I’m actually going to get to step back and I can just put my trust in this guy.” I’m telling you straight up that I couldn’t do what I do as my job and as a team we would have never made it to this point without him. But thankfully, it’s not just him. We have a lot of great people. We have mechanics that have stepped up to that next level, that have just done more than what their job is. I’m grateful for the people that we have had. Tony Archer was a racer on our team and now he’s on the level of Skip. I think Skip sometimes is just trying to keep up with him! So it’s pretty cool. Let’s talk about the riders a little bit. Who are they and what are your expectations of your guys, not only going into this weekend but overall in the season? At the moment, we are showing up with three guys. We are a four-man team but unfortunately Tanner Stack got hurt. He unfortunately took a little digger in the whoops and the bike caught him the right way and he broke his femur. He’s been doing all the things he needs to be doing, so hopefully he can show up maybe the last two rounds or so. But the guys who are racing will be Josh Osby, Joey Crown, and Jayce Pennington. Joey was a late addition to the team. I know a lot of people probably saw the thing with Cameron McAdoo and how that all went down. We did have him on the team, but he had a new opportunity that showed up [with GEICO Honda]. At that point you can’t hold a kid back from trying to be the best that he can. As for the racing, I truly think that these guys are going to show up and turn some heads. Over the past few weeks there’s been huge progress on the track. Overall, my big hope is just that these guys can go out and be the best that they can. I’m not going to say that there’s huge expectations, but I expect the guys to be inside the top ten. How do the riders gel together? Are they training together, living together all at Club? Do they kind of feed off each other? Is there one guy that kind of elevates the rest? One thing that’s probably much different than any other team is the fact that we’re all at ClubMX. That was kind of the biggest deal—we all needed to be under one roof and focused on the same goal every day, instead of being so spread out. So that’s really changed it up. The guys are in the gym together. They’ve done all the training together. They’re riding together. I think they gel plenty good. We had a photo shoot the other day and we were doing dark lighting stuff and everybody was just laughing and having a good time. I wouldn’t necessarily say that there’s one guy that’s pushing anybody. I think the benefit of being at a place like this is that they’re all just pushing each other every day. But it’s really nice to have other people at ClubMX, like Justin Brayton. He’s here during the week. He’s part of the motos. So all of our guys are on the track and they’re doing sprints with Justin. They’re getting to see where they are. It gives the guys a big goal to go after, trying to beat or match JB’s time. They’re always chasing something. I think that dynamic that we have as a team is much different, a lot more unique than any other team, in some sense. It’s been enjoyable. Did you have to move the race shop and everything from Maryland to ClubMX, or are the bikes still built in Maryland? How’s that work out? We moved everything. The past couple years we’ve actually just been as a team located at Dreamland, which is Luke Renzland’s facility. They really stepped us for us and always provided a workplace. We even had houses on the property. So when this all came about, it was a big move. Basically pack up the shop and put everything in the semi and get up here and get into a new shop. Like I said, it’s been a great process. Moving everything here, myself and our head mechanic, Tony, we have a cabin here on site that’s really nice. Skip does still fly in and he’s here for a couple weeks at a time and then goes back home. He lives out West. But everything is done here on site. Our engine builder, Bundy Built, is about an hour and a half from here in Charlotte. So that has been extremely convenient. At any time we can just get in the car, drive up and change things or do whatever we got to do, as well as Ohlins our suspension company. They’re only about three hours away. Moving here, the dynamic, new people, and being closer to our sponsors and stuff, it’s been a good process. Previously the ClubMX team was a KTM team. You guys were a Yamaha team. Was there a process in deciding what bikes you were going to ride, or were you guys always set on being a Yamaha team? How did that come together? At first initial talks obviously that was the biggest [question]. Thankfully our relationship with Yamaha and our relationship with a dealership that we go through, it’s called ATVs and More out of Illinois, that’s kind of how we cycle our bikes through. I think immediately it was just that—last year I believe the ClubMX team was going to a dealership called Brewer Cycles. I think they had a good support system in place with those guys and they were satisfied, but they didn’t have necessarily the support that we had from Yamaha and ATVs and More. So it just started out, let’s go with Yamaha. We knew that the ’19 was going to be an awesome bike, and on top of that, we knew Yamaha so we had leftover parts. So it just made sense at the end of the day. ATVs and More, that’s Pennington’s family’s shop, right? So that has to kind of help bridge the gap a little bit too? Correct. They’ve been so amazing to us for the past couple years. The minute that we jumped on board with them, anything and everything they could do to help us, they’ve been there. Jayce obviously is a great addition. It’s cool. It’s still kind of like a family, in a sense. We get to keep the family sponsors. It’s still been a really close-knit relationship obviously with us and Jayce, and then to be able to have his family shop support the team. Was there any resistance from sponsors with the merger? I know Traders is a big sponsor of yours, and ClubMX had their sponsors. Truthfully, at first obviously when you start to line these things up in your head, I had some concerns. It actually ended up being perfect. Even sponsors that we got to keep really stepped up just because we were able to kind of offer more as a team being here. We’re able to step up and offer [things] to our sponsors—we have a race shop on site here. We can sell your products. If anything I’d say we got more support out of being able to do this merge. What is the actual name of the team? It’s called CTR Motorsports, which is Club, Traders, and Redemption Racing. So obviously we merged those three things together to come up with CTR Motorsports. So that’s what you’ll see on basically all of our casual, our pit shirts, all that kind of stuff. When you look at the bike you’re going to see ClubMX, Traders, and Redemption. They are more split up just because we are still trying to promote what they are. So CTR Motorsports is the official name of the team. Are you guys using your truck or their truck? How’d you decide which hauler to use? Initially we were going to use our semi, but when we turned it into a four-man team, at that point the ClubMX semi made more sense. It had a lot more cabinet space. So that’s what you’ll see. It looks great. Similar to last year. Obviously our colors are still similar to what ClubMX colors are. So white and light blue will be the colors of everything. The whole Traders sponsorship in general. What’s the deal with that? They’re a seafood restaurant, right? Is the owner just really into moto? How does that even come about? 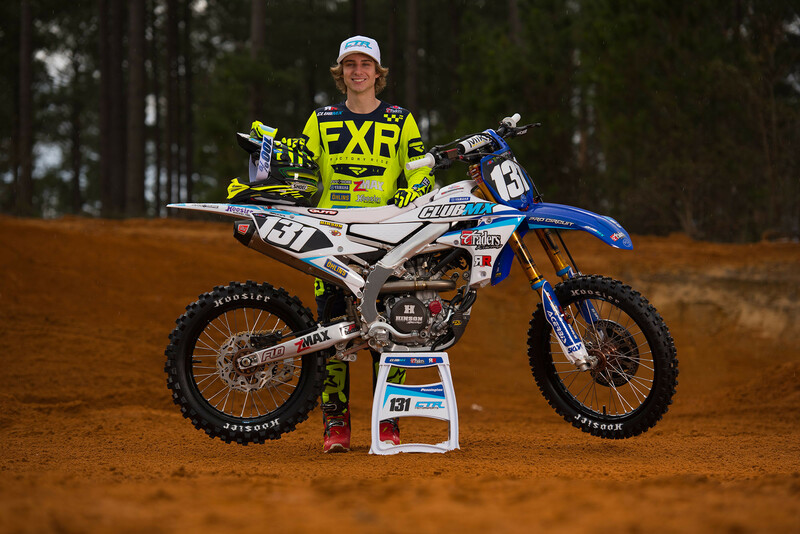 I think a lot of people have always kind of questioned how does a restaurant sponsor a professional motocross team? That doesn’t make any sense. So just to back up—the guy who owns Traders Racing also owns Traders restaurant. His name is Gary Luckett. He is a moto enthusiast guy. At the end of the day, he’s just an all-out good person. I think he was in a situation years ago where he had a little amateur program together that just blew up. He sponsored probably 30 or 40 kids locally in the Maryland/Delaware/Virginia area, and even Pennsylvania and stuff. At that point, he realized he was able to make a difference and he started to do stuff with privateers, like Tony Archer and Broc Schmelyun and a couple other kids way back when. It just worked out to where he was able to put something in place and start to build this team. I think the key to the people with the restaurant is, does the restaurant actually do that well? The thing that helps with the financial side of things that is inside of Traders the restaurant, there is a slot machine section. So realistically, I think a lot of what helps financially is that it’s a very popular spot that people go in. Obviously they eat, watch football games, but there’s also slot machines right behind you. Those tend to catch people more often than not. Do they provide you guys with food at the races? No, not necessarily. The thing is at the end of the day, the restaurant, there’s only one and it’s in Maryland. So when we go back home to the Budds Creek National and stuff, yes. There’s been a lot of people that have definitely taken advantage of it. We haven’t done it every single year, but there’s been plenty of years that the entire restaurant staff will basically come out and cook. It’s a seafood, steak, and ale place so before you know it, we’ve got a full catered tent and you got crab legs, shrimp, you name it. I wish we could have it at every round, but it just doesn’t work like that. You guys would be the most popular rig in the pits if that was the case! Yeah, we would. I haven’t found too many places in the States that have crab dip like Traders does. Let’s talk about your other sponsors. Who are they? Who’s helping you out? ATVs and More is a big one. Ohlins suspension company has been great to us. Having Yamaha on board. Some of the new ones though that everybody’s going to see: FXR, the gear company. We started that relationship a few months ago. They’ve been wonderful to us. Z Max is new to motocross. It’s an oil company. They’ve been in NASCAR and automotive stuff for a long time. We got to do some development stuff with the oil with those guys and it’s been great so far. I think a big one that people are going to notice would be Hoosier tires. We’ve been doing a lot of tire testing and making it the best that we can make it. Thankfully having a guy like Skip helps us learn how to make things different and better. That’s been huge for us as well.